How Much Time Should I Devote To Social Media Daily? It all depends on what your goals are and what you want to accomplish. I know professionals who work from home who spend hours on Social Media for business and people like myself who spend maybe an hour or less per day on average. But here is what I do know. If you are not consistently posting on any of the major social media sites – you will not have a lot of success on Social Media if you are trying to promote yourself or your business. 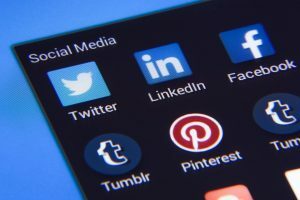 Having made quite a bit of money in the past by using Social Media for my business endeavors here are a few things I recommend to get the biggest bang for your buck. Don’t waste time too much time looking around. Just like shopping know what you’re going in for and get out as quickly as possible. Post at least 1 to 2 times daily on Facebook, Instagram, and Pinterest and up to 6 times daily on Twitter. Like and retweet what others have to say (don’t just promote you). Just like anything else to be successful, you must put some time and energy into it to get anything in return. I think the 3 most important questions to ask yourself as it pertains to Social Media for your business is – What do I want to accomplish from it? How much time am I willing to put into it? How much am I willing to spend? 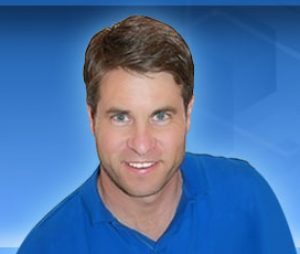 If you’d like to get more information on how to be successful on Social Media. 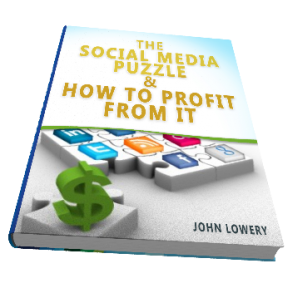 You can pick up my new book “The Social Media Puzzle & How To Profit From it” on Amazon and Barnes & Noble.